Fast, easy, with no waiting! 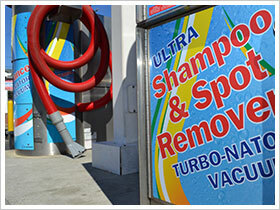 The Express Tunnel is the fastest, most convenient tunnel wash. No hassles! You stay in your car. 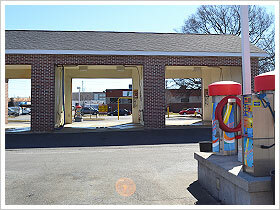 No getting kids or belongings out of your car, no strangers taking your car through the wash.
Each bay is equipped with more functions than any other car wash. Every bay accepts bills, coins and credit cards. 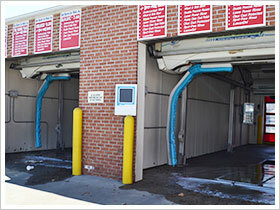 Automatic Laser Wash Systems, Taking the guesswork (and quite simply, the work) out of car washing. 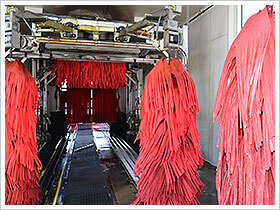 Choose from four washes including Basic, Deluxe, Works and Supreme starting at $7.